The Brighouse Arts Festival takes place between 3-13 October. The Festival has managed to book Kiki Dee & Carmelo Luggeri for a concert in October. Tickets are on sale now. 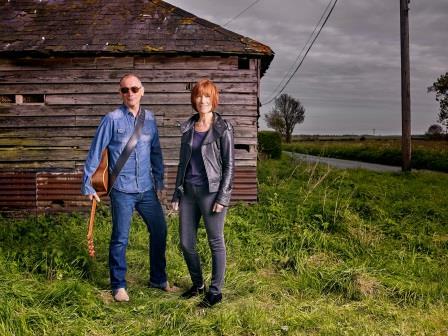 Kiki Dee and Carmelo Luggeri will be coming to Brighouse on Thursday 10 October 2019 to perform ‘An Acoustic Journey’ at St. Martin’s Church. Festival Director, Matthew Harrison-Lord, said “It is brilliant to bring such a world renowned star to Brighouse, a Calderdale exclusive. This year we are aiming to the spotlight on Brighouse raising the profile of our festival and the town. Ticket sales are already amazing so don’t delay to book.”. 2019 marks Kiki’s 56th year in the music industry and has cemented her status as one of the UK’s finest and most revered vocalists. Dee has performed alongside Elton John with their Number 1 duet “Don’t Go Breaking My Heart” at Live Aid 1985 and at Madison Square Garden in New York City. For almost two decades, Kiki and Carmelo have been touring their spellbinding acoustic live show across the UK and Europe. Performing in this stripped back fashion allows each of their exceptional talents to shine through and create a wonderful and warm sense of intimacy for the audience. Join Kiki and Carmelo for an acoustic journey of stories and song which include unique covers of songs by artists such as Kate Bush and Frank Sinatra and of course Kiki’s own hits “I Got The Music In Me”, “Don’t Go Breaking My Heart”, and the stunning “Amoureuse”. The Brighouse Arts Festival runs from October 3rd to 13th and tickets are on sale now, online or at the Harrison Lord Gallery and Ryecorn Wholefoods. Visit http://www.brighouseartsfestival.co.uk for more information. This entry was posted in Brighouse, Events, Oct and tagged Brighouse Arts Festival. Brighouse Arts Festival 2018 features a selection of the highest quality cultural events taking place in the centre of Brighouse from Friday 5 October to Sunday 14th October. The sixth-annual combined arts festival brings together: Music, Literature, Art, Theatre, Comedy, Film, and an array of cultural talks, workshops and activities. From free digital arts activities for children at St. Matthew’s Parish Centre, Carmen to Music of Yesteryear, you are sure to find something that will interest you. To find out what is happening, visit the Arts Festival website. Enjoy an evening with Leeds based author Frances Brody, creator of the Kate Shackleton Mystery Series, writer of stories and plays for BBC Radio and the Frances McNeil novels, as part of the Brighouse Arts Festival. Tickets cost £5 (concessions £3.50) including refreshments. Book online or by calling 01484 718324 or in person at Harrison Lord, Rycorn, Simply Flowers or Brighouse and Rastrick Libraries. A 10% booking fee applies when you book online, there are no fees when you book in person or by phone. This entry was posted in Get Involved / Have Your Say, Rastrick, Sep and tagged Brighouse Arts Festival, Brighouse Library, Get Involved, Rastrick, Rastrick Library, September.